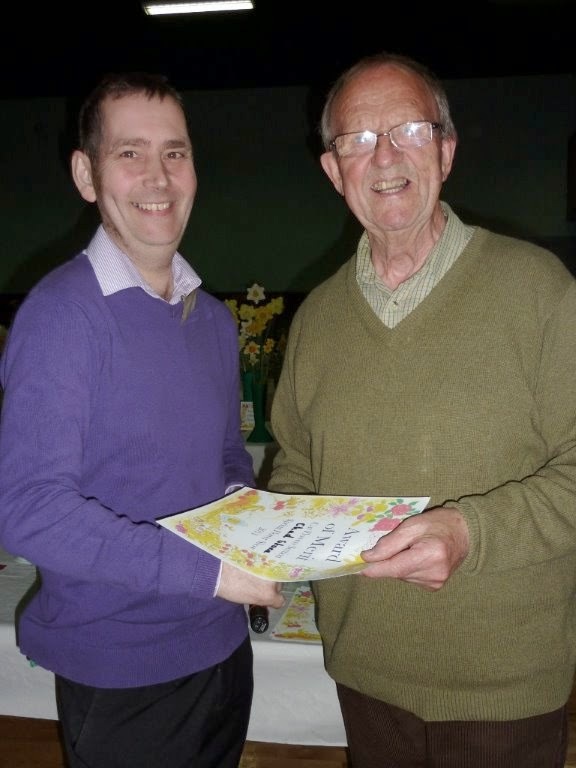 Old friend and regular visitor Bert Jewell from Crediton came and talked about his beloved Pelargoniums which had successfully grown and shown over several years. A representative from The Devon Wildlife Trust came and talked about the Wild Side of Exeter and show photos from bird nests set up in very urban area. 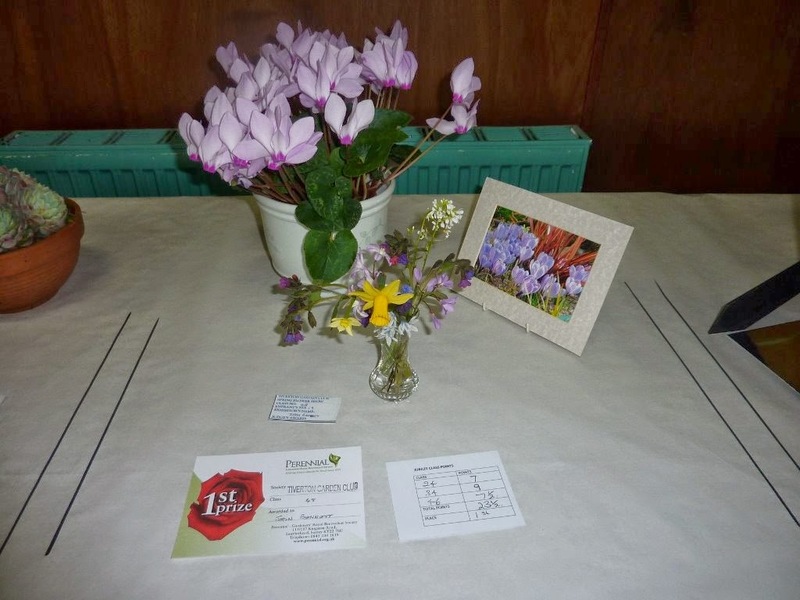 She also showed photos of areas where wild flowers on the hedgerows and sides of busy roads had been allowed to grow. She was very knowledgeable. Doors open 5.30pm. Recording starts 6.30pm. On Wednesday 28th May, BBC Radio 4’s Gardeners’ Question Time records a programme at the Tiverton Community Arts Centre. 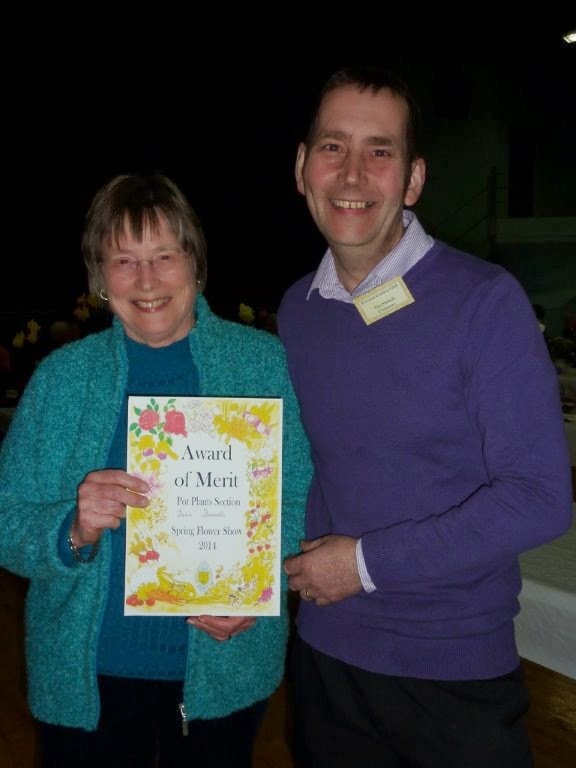 The celebrated panel of gardening experts will be tackling the questions put to them by local gardening enthusiasts, with Eric Robson in the chair. Gardeners’ Question Time is a Radio 4 institution, attracting over 2 million listeners a week. 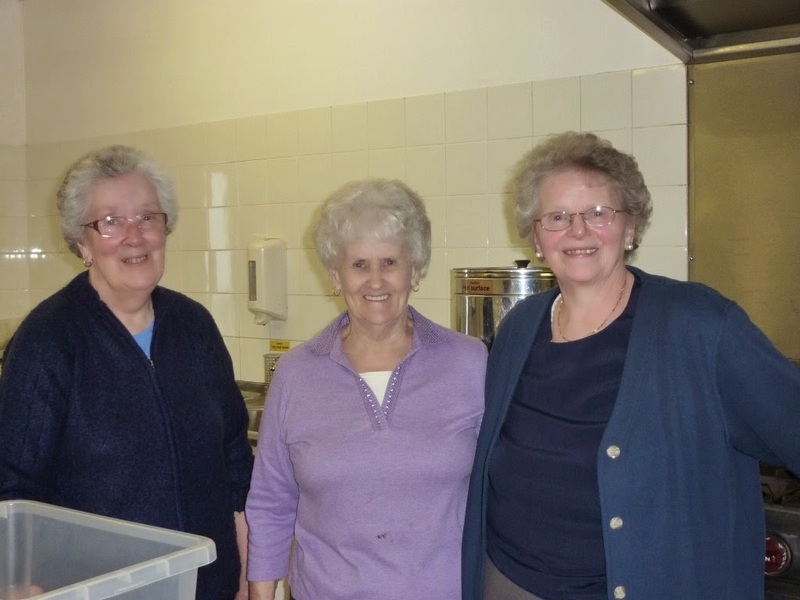 Recorded in a different location each week, this long-standing radio programme has answered well over 30,000 questions since its inception in 1947. 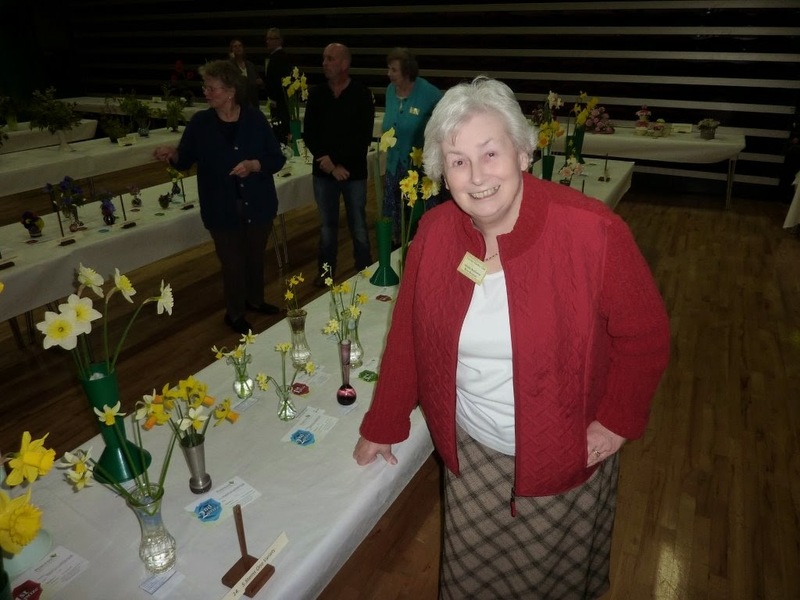 The panel members have been guests of a diverse range of gardening clubs and other organisations; including a telecommunications call centre and the London Transport Museum. The panel NEVER see the questions before the recording. 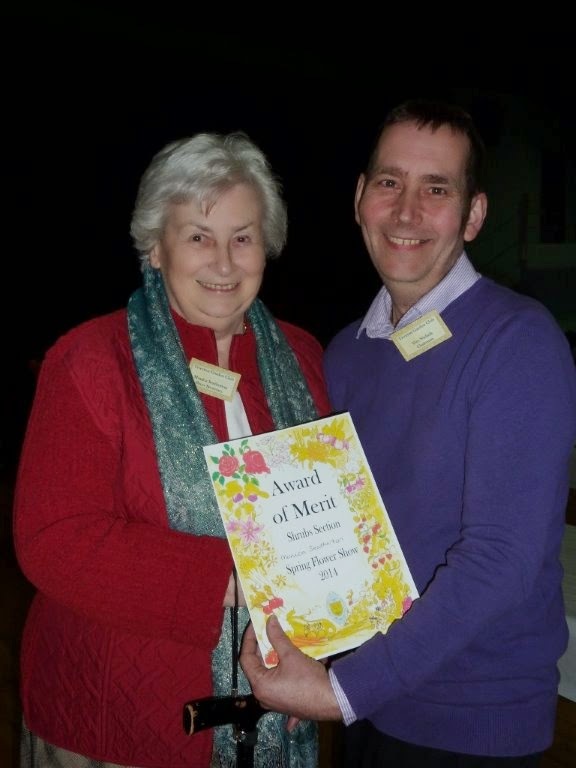 Their encyclopaedic, seemingly effortless answers are completely spontaneous and reveal their huge experience and depth of gardening knowledge. Being on the GQT panel is not for the faint hearted! 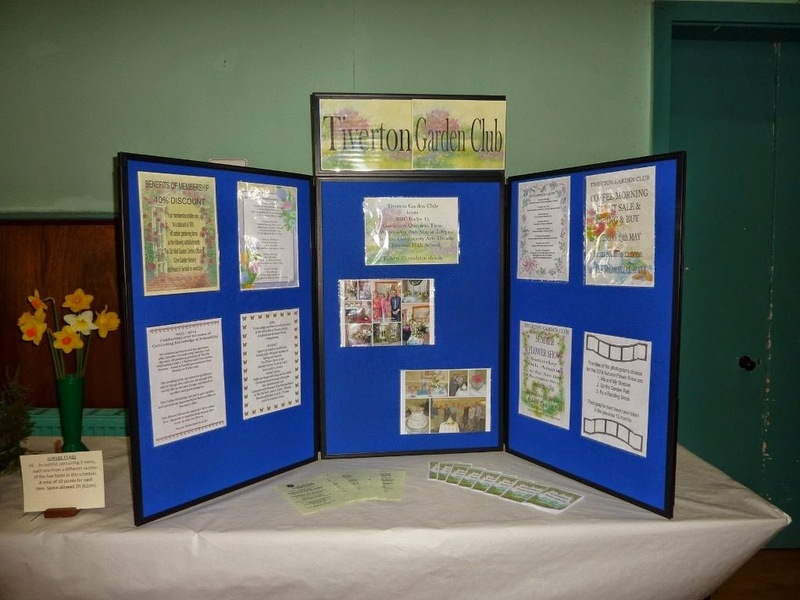 Hosted by Tiverton Garden Club. Market Walk, Bampton Street, Tiverton, EX16 6BL. 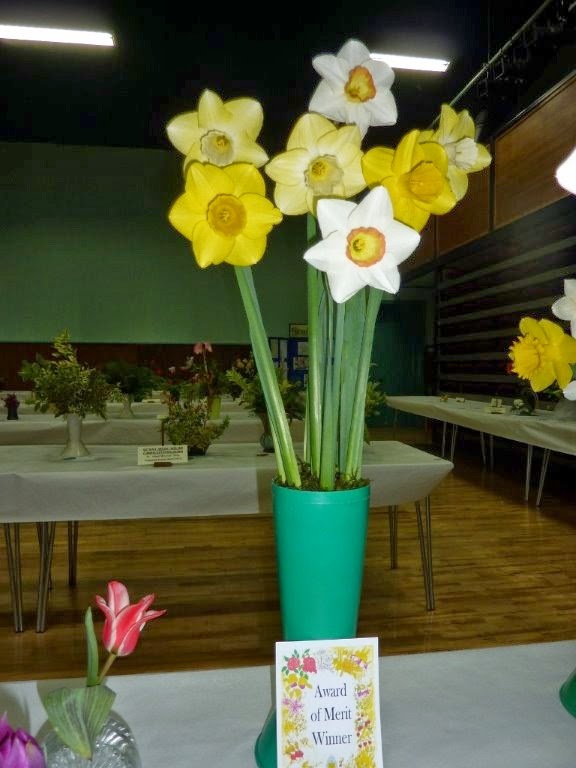 The Spring Show was held at The New Hall on Saturday. 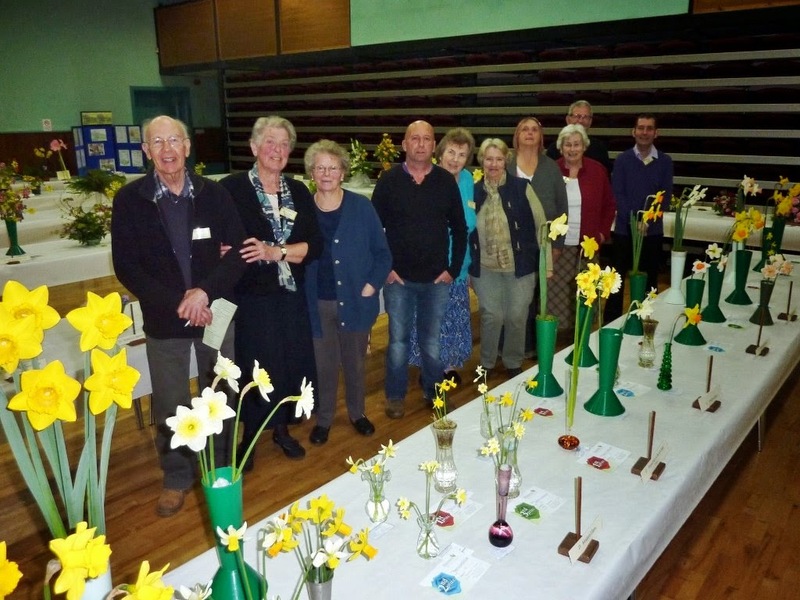 21 exhibitors put on a colourful display to the many visitors. 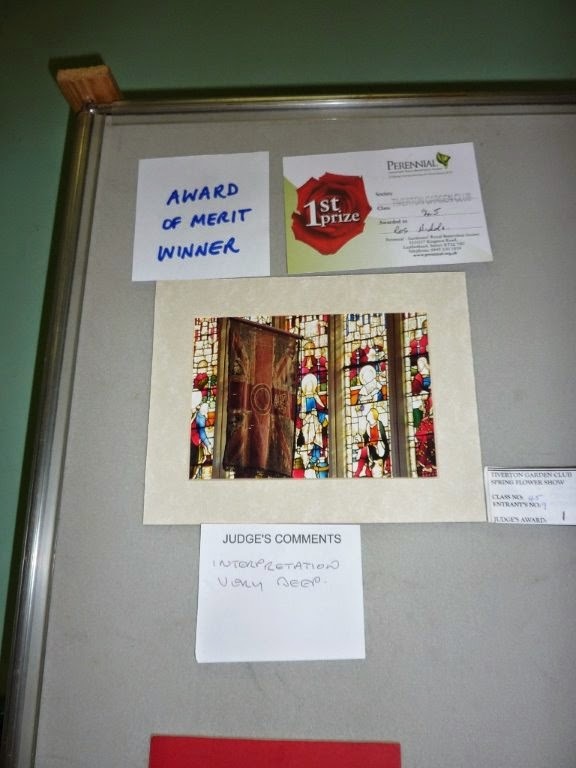 In the decorative section the principal winners were Maggie Roberts and Maureen Coldham, with Maggie winning the Award of Merit for her "Jewellery Box". The Childrens Classes were won by Bailey Hilton and Paige Nichols. 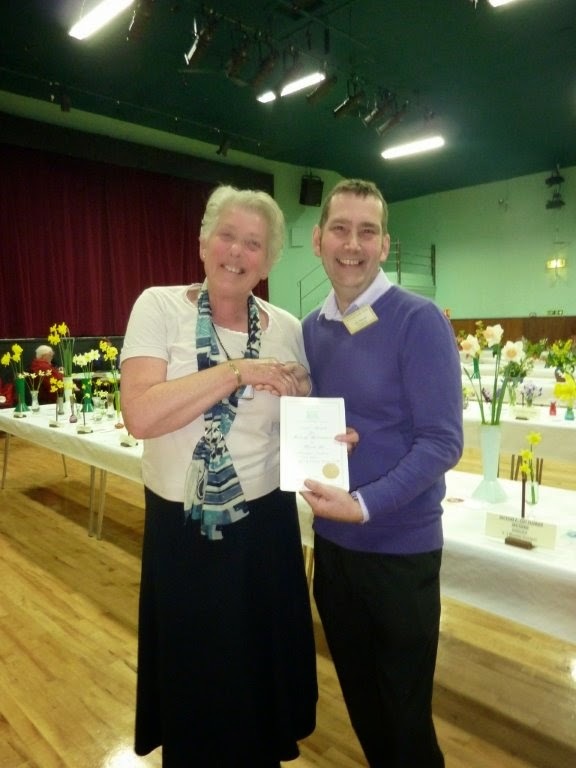 Principal winners in the Cut Flowers section were Chad Stone; Sue Gollop; Mary Sedgbeer; Jean Bennett; Maureen Coldham; Ann Crawford; Monica Seatherton with Chad winning with his Vase of Mixed Narcissi. 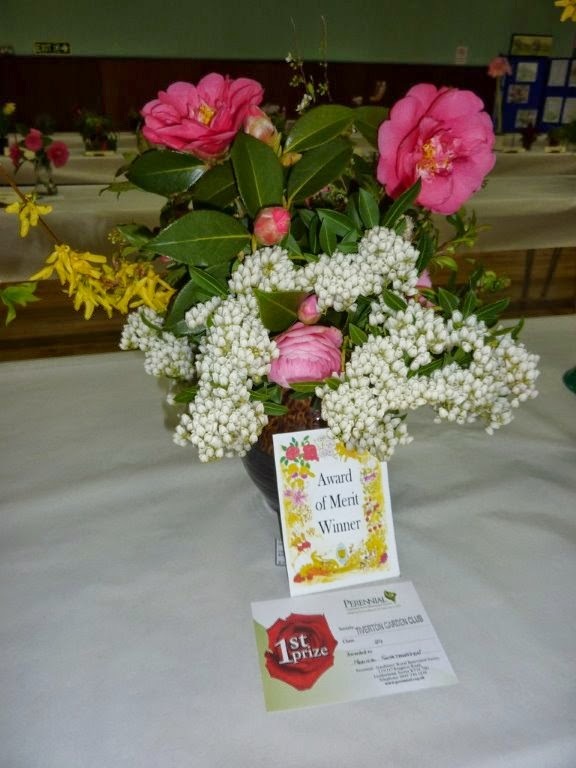 In the Shrubs, trees and climbers section the principal winners were Monica Seatherton; Jean Bennett; Chad Stone; and Maureen Coldham with Monica Seatherton winning the Award of Merit for her Vase of Mixed Flowering Shrubs. 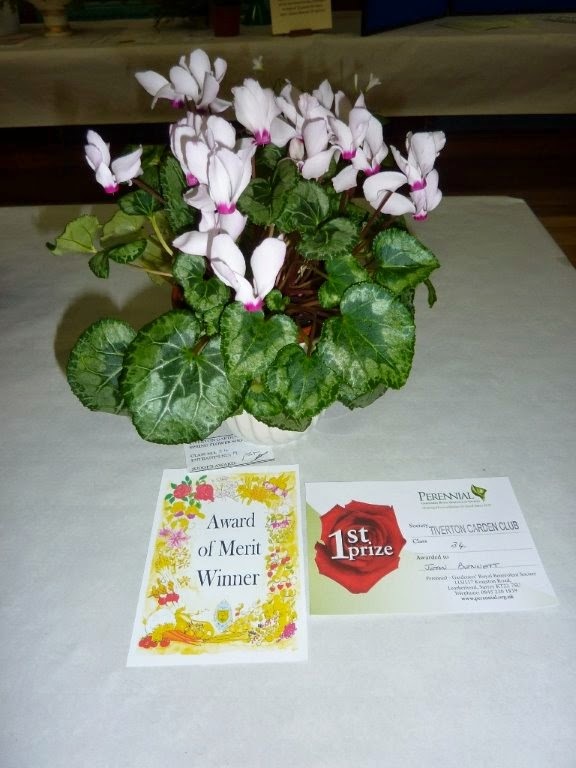 The Pot Plants section winners were Jean Bennett; Sue Gollop and Tim Nichols with Jean Bennett winning the Award of Merit for her beautiful Cyclamen plant. 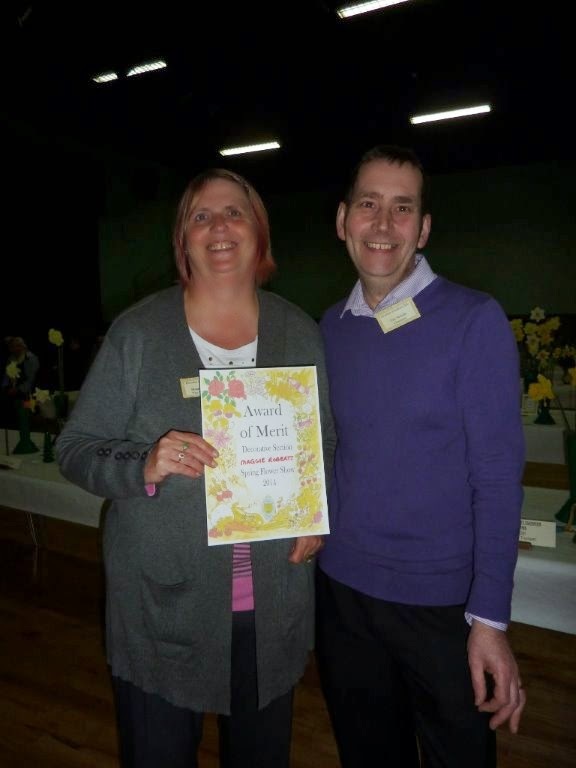 The Photography section winners were Ros Nichols and Peter Sluman with Ros winning the Award of Merit for her image "In Memoriam". 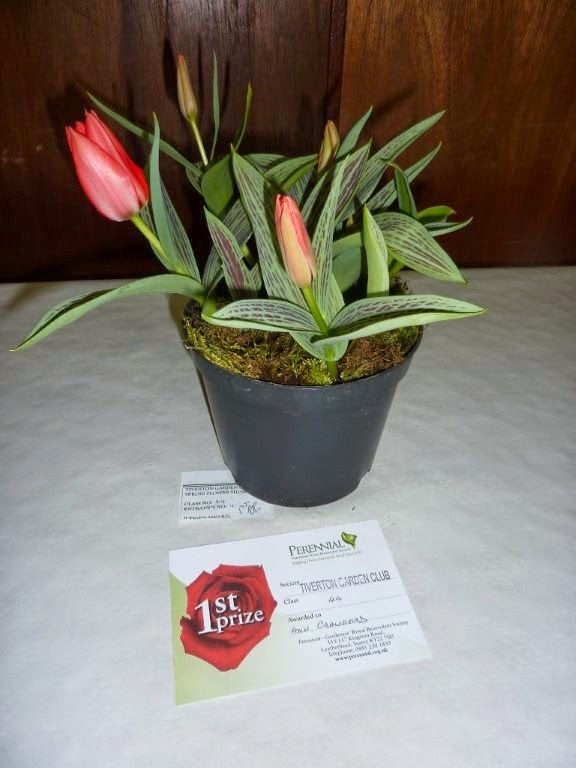 The Jubilee Collection class was won by half a point by Jean Bennett and the Members Bulb growing competition was won by Ann Crawford. 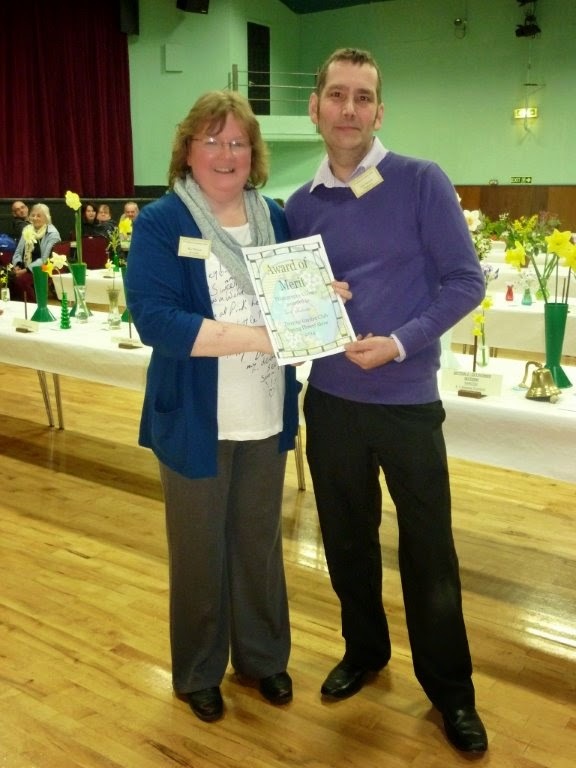 The judges were Jan Connolly, Terry Bratcher and Tony Britton. 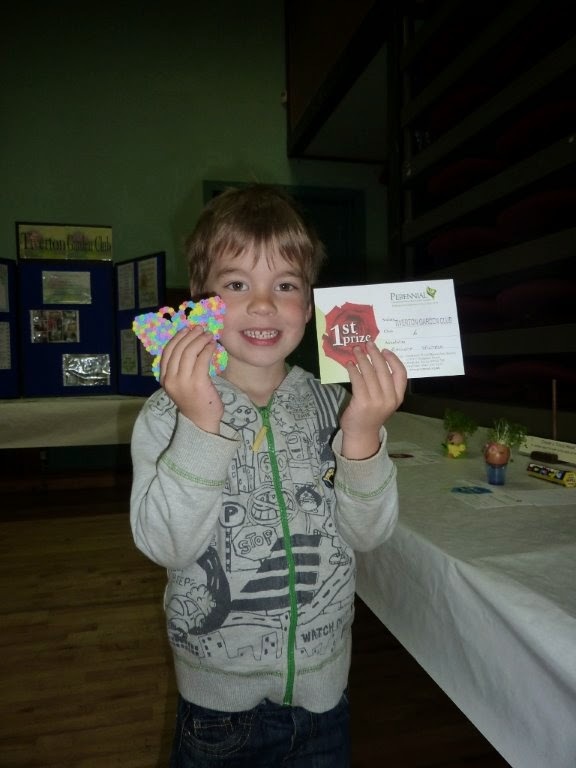 Youngest exhibitor Bailey Hilton with his "Butterfly"